Poverty and environmental degradation are closely interlinked. It is the poorest and most vulnerable who suffer most from the impact of climate change and pollution - the very people who have contributed least to the problem. Scroll down to learn more about our current projects working on environmental sustainability. With a workforce of over 35 million people, the textiles sector is India’s second-largest employer; yet its contribution to the country’s development is hampered by poor environmental and health and safety practices. Degradation and depletion of natural resources is commonplace, as is the use of toxic chemicals causing pollution and health problems for artisans, many of whom remain economically and socially vulnerable. Traidcraft Exchange has supported textile artisans to form community-based organisations and associations to enhance their negotiating position and establish a recognised, collective identity. The project has linked 13,000 artisans to social security entitlements, as well as providing them with training on eco-friendly production practices and occupational health and safety. Who are we working with? Our partner AIACA (All India Artisans and Craftworkers Association) with funding from Big Lottery Fund. 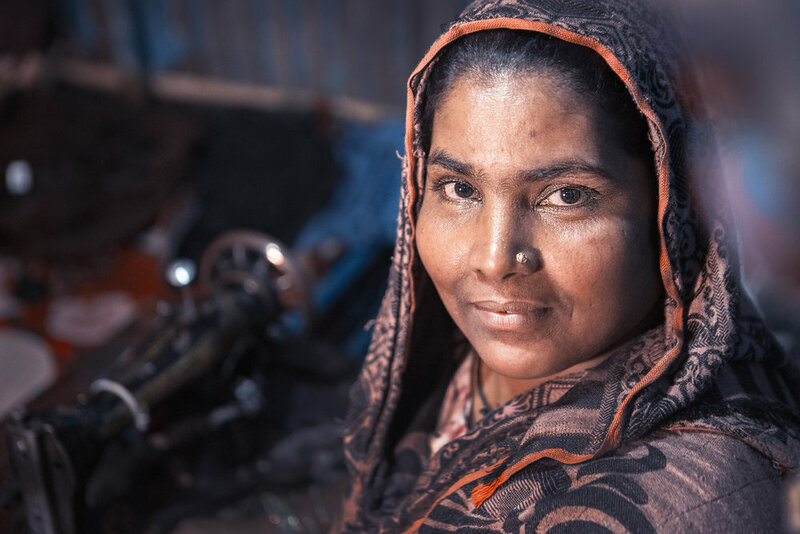 The “backyard garments” sector emerged in Saidpur, Bangladesh in the late 1990s and early 2000s, when local workers started producing recycled clothes for the domestic market using the scrap fabrics (“jhut”) discarded by mainstream clothing factories. Local businesses have since set up their own association, selling recycled clothes domestically and exporting to neighbouring countries such as India and Nepal. As well as being an innovative way to reduce stress on the environment by re-using discarded fabric, the backyard garments sector is a potential pathway out of extreme poverty, especially for women. However, businesses face challenges due to a lack of market knowledge, necessary equipment and skills, which this project will address by exploring how to improve businesses’ productivity and supporting them to expand. Who are we working with? Our partner TRAID, who is funding the project.